The AMW range of indoor wall mounted splice enclosures offers a compact solution to the end user. 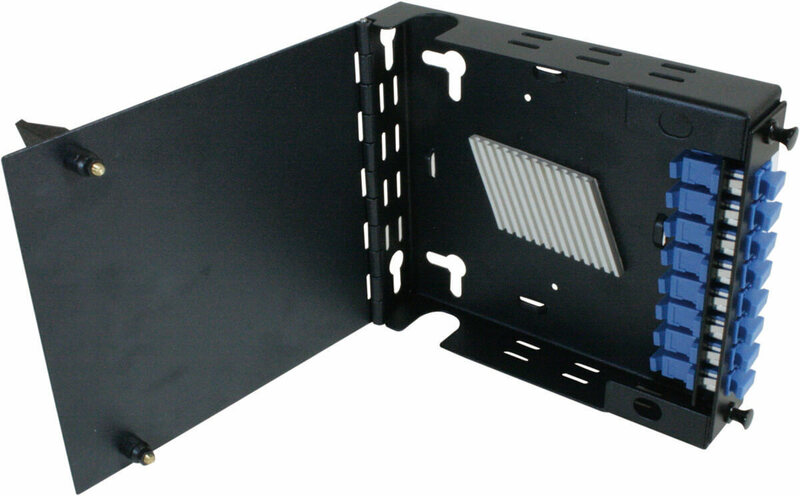 This enclosure has been designed to accept up to 1 LGX style assemblies or more. With the ability to use a full array of adaptor types this enclosure offers a flexible solution to the end user, enabling them to incorporate a multi functional enclosure that allows easy access during installation or rework with no disturbance of the existing cable or fibers. In the addition to the array of adaptors the enclosure also offers multiple cable entry solutions, fiber cable can be spliced or pre terminated solutions, making this enclosure one of the most flexible on the market.